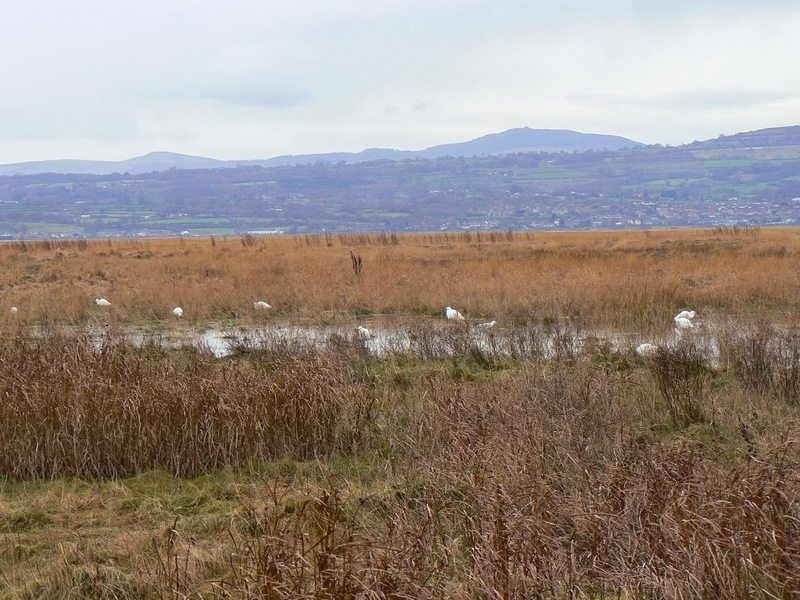 Burton Marsh from Denhall Quay at high tide (10.1m). 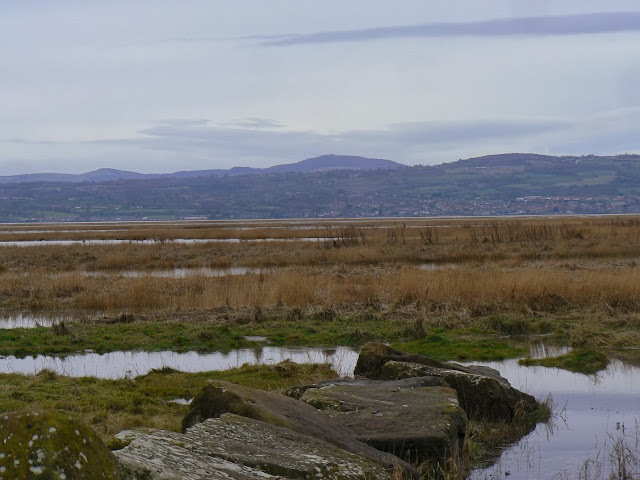 Hard to believe that ships used to sail up to here! Little Egrets from Denhall Quay. 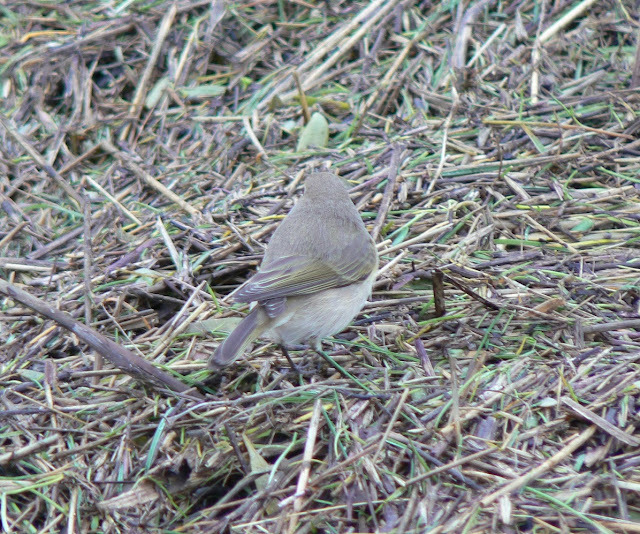 Siberian Chiffchaff near Denhall Quay. Note the very distinct supercilium. Siberian Chiffchaff near Denhall Quay. Note the green patch on the wing, but this is generally a much browner bird than the one in Denhall Lane (see below). Three very different Chiffchaffs. 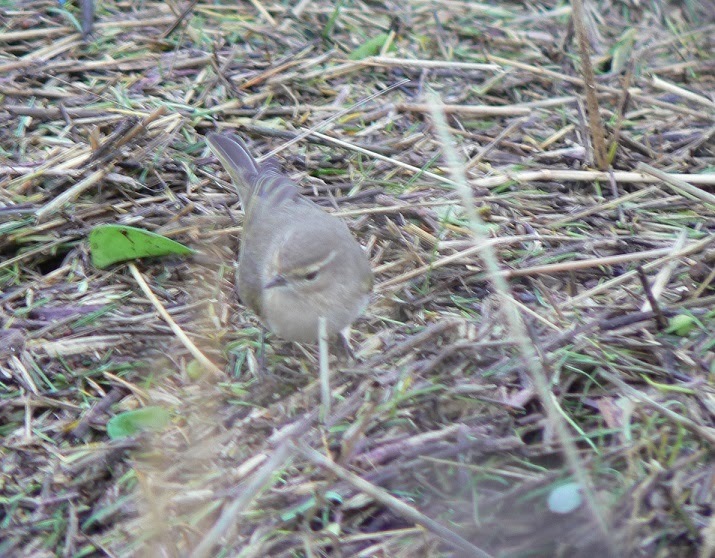 The left hand bird is a definite Siberian Chiffchaff photographed on Christmas Day in Denhall Lane. It's almost silvery with a green wing patch and distinct supercillium. It's also been heard to call. The right hand bird is a "common" Chiffchaff, photographed at Eccleston Mere last March. It's a very brown looking bird. The middle two photos are of the bird which is a probable Siberian Chiffchaff photographed today near Denhall Quay (see also photos above). It is greyer than the right hand bird but is still quite brown on it's back, but it also has the green wing patch and a distinct supercillium. 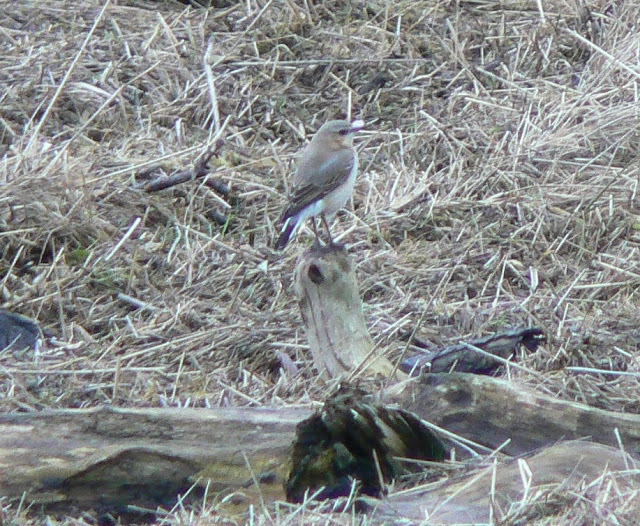 This Wheatear has gone from my latest ever to my earliest ever! 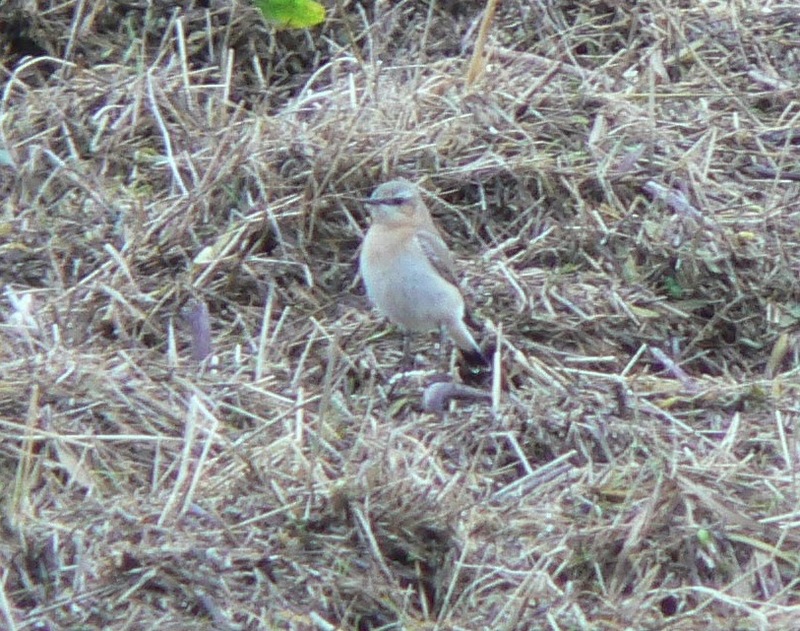 There's a growing swell of opinion that this may be an eastern race Wheatear rather than the nominate race, but I think that's virtually impossible to tell in the field. Why not though? It's incredibly late / early for the nominate race and it has been in the company of a Siberian Chiffchaff and an American Buff-bellied Pipit!